Scott completed his BSc (Physiotherapy) at Curtin University and is a full time physiotherapist in our CBD clinic. Scott is passionate about providing high quality clinical physiotherapy to all demographics of people. Office workers, weekend warriors, athletes, post surgery, motor vehicle accident or work place injury; you can be rest assured that Scott will work with you to achieve the short and long term goals that you desire. Scott has particular interests in and has completed further education on tendon pathologies, lumbar spine dysfunction and acute musculoskeletal injury management. Scott has worked with numerous different sporting populations from footballers to dancers, and most recently recreational skiers and snowboarders in the Rhone Alps of France. Outside of work Scott enjoys the amazing coastline we have, live music and fulfilling his culinary curiosity. A Life Ready satellite clinic is an intimately sized clinic, operated through a larger clinic hub, used as a convenient connection point for our clients. While it offers a reduced set of services, we find that it’s perfect for clients who live or work locally and are in need of basic physiotherapy treatment, assessments and follow up appointments. 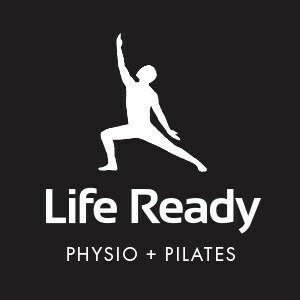 Goodlife Murray Street is a satellite clinic provided by Life Ready Physio Perth CBD and provides our full suite of physiotherapy services, with the added benefit of having complete use of state-of-the-art gym equipment and facilities for exercise based and gym rehabilitation programs, if required.